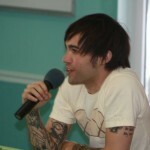 Fall out Boy and All Time Low meet with us! 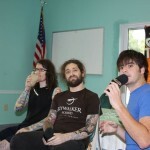 Student journalists from all over South Florida were given the chance of a lifetime to interview one of the world’s biggest bands, Fall Out Boy. 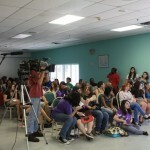 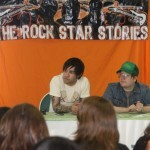 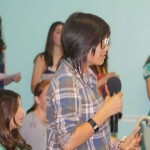 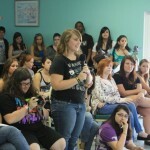 In a press conference held by The Rock Star Stories at the Pompano Beach Amphitheater, bassist Pete Wentz and singer Patrick Stump answered questions from over 50 students. 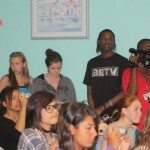 Despite being Billboard Top 40 and MTV favorites, it seems that fame has not gotten to their heads. 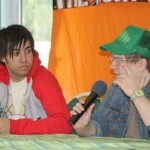 The duo was ready and willing to answer any question on topics such as fatherhood and the future of Fall Out Boy. 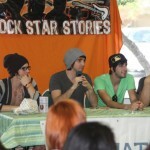 Following the interview, pop punk band All Time Low came to the press conference. 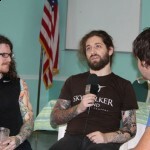 Known for their hilarious personas, this quartet did not disappoint with their answers. 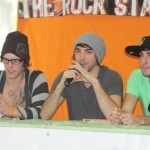 When asked how the band formed, front man Alex Gaskarth responded “We met at a comic book convention.” It is safe to say the press conference was a great success.